Wouldn’t it be nice if our most used appliances could last forever? Particularly our air conditioners, considering where we live. But alas, our cooling systems have a limited lifespan. When yours starts nearing the end of that lifespan, it may be a good idea to invest in a replacement. But, replacement isn’t always the answer. Sometimes, your air conditioner can get by another season or two with repairs, depending on how well it’s been taken care of over the years. 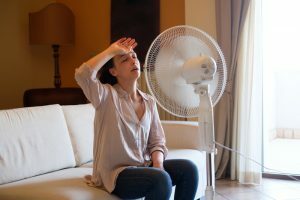 One thing is for sure—no matter how diligent you are about scheduling air conditioner maintenance and keeping up on repairs, you never want to ignore any signs of an air conditioner in distress. Nor do you want to try to diagnose an air conditioner problem on your own. That’s what we are here for. Our trained and experienced technicians know what to look for when your air conditioner is acting up, so if any of the 3 following signs describe your cooling system, be sure to give us a call! #1: Your System Is Old! As we mentioned above, air conditioners have a limited lifespan. The manufacturer of your cooling system sets a service life estimate for it, and usually this is the period that the warranty covers. As we said, a central air conditioner that is well maintained will typically last 10 years, maybe 15. Anything over this deserves some major TLC, and potentially even an upgrade sooner than later. One of the primary goals when manufacturing an air conditioner system is to design systems for homeowners that operate as quietly as possible. Therefore, if you start to notice very loud noises coming from your air conditioner, it means something is wrong. One peculiar noise here or there potentially warns of a need for a repair. However if you’re consistently hearing grinding or clanging there could be something seriously amiss with the system—and it needs to be inspected. Were you aware that a cooling system that receives routine maintenance can retain 95% of its energy efficiency rating throughout its service life? When it comes to the end of that service life, though, efficiency will drop and consequently your utility bills will rise. Old age isn’t the only cause of rising bills though. It may also be that a repair need has gone unnoticed. For instance, you may have damaged ductwork letting conditioned air escape, and causing you to turn your thermostat down lower and lower to no avail. Are Your Repair Costs Too High or Repair Needs Too Frequent? It’s actually pretty rare that an air conditioner will escape repair needs during its entire service life. However, there’s a point where an air conditioner requires repairs that are expensive enough to make it no longer worthwhile to keep the system. These repair needs will continue to plague your system, and a full breakdown becomes more and more likely. What counts as “too much” when it comes to repair needs, though? Generally speaking, if you’re about to pay half of what a new system is worth on repairs, it probably makes more financial sense to just replace the system altogether. For quality Tampa air conditioning service, look no further than IERNA’s Heating & Cooling. Contact us today!